Businesses always need money. I don’t have to tell you that. When the economy is booming, businesses need money to expand: to purchase new equipment, increase inventory, to expand or explore new opportunities. When everyone is lending, businesses need help figuring out the right kind of capital to borrow and the least expensive way to do so. When the economy is sluggish, businesses need money to stay afloat: to make payroll and to purchase inventory. When the banks tighten their belts and stop making loans, businesses need help locating and negotiating for capital. In either case, businesses need someone to broker loans for them. Just as you always want a lawyer representing you before a judge, and an accountant representing you before the IRS, you need a expert to to help define your lending needs and to make sure you get the best loan regardless of the current economic conditions. Commercial finance consultants don’t just simply connect lenders with bank loans. Instead, they work with many different types of financing products. Just as a business’s needs change depending on the macroeconomic conditions, and on their own requirements specifically, commercial finance consultants offer a diverse set of financing options. Some financing products are readily available in good economic times, and are next to impossible to procure in down markets. Other types of loans do better when the economy is in a recession. Whatever the economic conditions, and the specific requirements of a business, a commercial financial consultant can help find the right type of financing. Diversified loan brokers receive a commission on every loan they close, and thus make money when the economy is good, and when the economy is bad. In either situation, the demand for their service is always strong. But better than the commissions, is the knowledge that without their services, capital, the lifeblood of every business, would disappear, and many businesses would ultimately fail. If commercial loan brokering sounds interesting to you, you’ll need to figure out how to start. You can’t just hang up your shingle and call yourself a commercial capital consultant. First, you’ll need to find businesses in need of capital. Yes, every business needs money, but they’ll don’t all take out full page ads in the newspaper to say so. And, once you do, you’ll have to take on the even more difficult challenge of finding lenders to work with. You’ll need to figure out all of the various types of financial products to offer. And, when you do, you’ll discover that you have no track record. They’ll be hesitant to do business you. There is a company, though, that solves this problem rather neatly. Commercial Capital Training Group has created a way for people without any prior experience in the finance industry to easily walk right into the business. They provide an intensive seven day course designed train you, from beginning to end, on the how to connect businesses with capital. In addition, they will personally introduce you to, and approve you, with more than forty lenders who will start processing loans for you immediately. 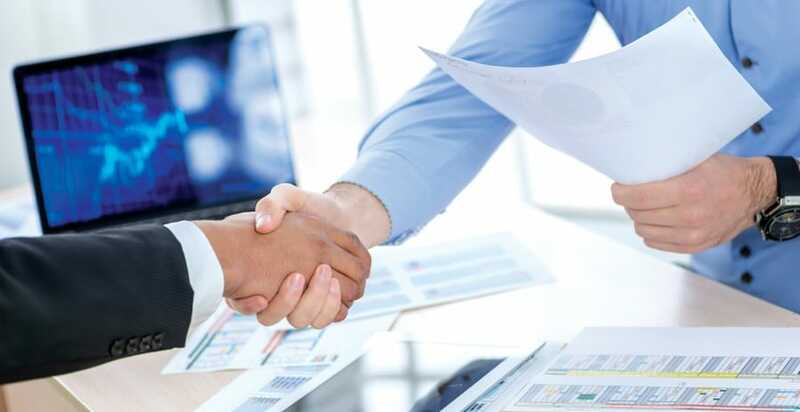 Following the course, Commercial Capital Training Group will provide you with one-on-one support, seven days per week, to answer any questions, or to advise you how to proceed with any specific loan product you might be brokering. Commercial Capital Training Group was founded in 2009 by veteran New York financier Kris Roglieri. The success of his commercial loan company, Prime Commercial Lending, had caught the industry’s attention, and for a time Roglieri was employed by several financing companies to train their staffs on the many alternative financing options and products available. It was obvious to Roglieri that his training service was in demand, and he soon realized just how useful his training was. His big breakthrough, he said, was realizing that while business owners are good at running their business, they often lack the knowledge to find the right capital solution for it. “Most businesses don’t know where to go for capital after their bank says no,” he said. Roglieri realized that he could make more money and help more businesses if he offered this same training to individuals. So, in 2009, he founded Commercial Capital Training Group, and in the last six years, Roglieri and his team have empowered hundreds of graduates to be truly independent and to succeed in an industry that allows for an almost unlimited income. Commercial Capital Training Group is not a franchise. It is an intensive training program that can take entrepreneurs from all walks of life, and build them into commercial loan brokers in just seven days. You don’t need any experience in the financial industry. You can literally walk in knowing nothing, and come out the other side ready, and able, to broker business financing. Individuals with finance or real estate backgrounds, who are already in the business, can also utilize the educational program to expand their skill sets and product offerings with more alternative financing options. CCTG’s training costs $23,000 for the seven day program2. Kris Roglieri puts his expertise and experience to good use, and does all of the training himself. After working through the course materials, students will role-play, engage with case studies and have time to test out their understanding of the concepts taught in an interactive setting. CCTG also brings in forty-eight lenders to make presentations on their lending products in person3. Students are able to ask questions and really connect with the lenders. Following the course, the students are immediately able to broker deals, because CCTG’s course also introduces the students to the lenders, who following the students’ graduation, have agreed to waive any “length of time in business” requirements they might normally have. In a sense, students taking the CCTG course are partnering with Roglieri’s reputation. CCTG, by way of their partner businesses Commercial Capital Marketing Group and Finance Marketing Group also provide the graduate with marketing and advertising support for two years after the completion of the course. This support comes in the form of web and print marketing help, email/social media, content marketing and lead generation. Even though CCTG is not a franchise, they do provide continuing and ongoing support seven days a week. If a student ever needs help to analyze a transaction, CCTG’s dedicated support staff is available seven days per week to answer their questions and to put their expertise to work for their graduates. Graduates of Commercial Capital Training Group will keep all of the commissions generated from any financial transactions they broker. CCTG takes no cut, and receives no royalties or kickbacks from the lender, or from the graduate. Commissions of 1-3% of the total value of the loan are very common in the business. Roglieri really stressed to me, that commercial loan brokering is not a get rich quick scheme. Graduates will have to really work to succeed at this business. They do have to put in the time, and do the work, but if they do, there’s really no cap to the amount of money that they can earn. They can reap the fruits of their own labors. Also, CCTG is not a fly by night operation. They’ve been in business training entrepreneurs from across the country for six years, and they will continue until there’s no more need for business capital. In other words: forever. CCTG is creating a network of independent commercial financial consultants, not a dependent team. After completing their course, graduates are able to work wherever and whenever they want. Being a commercial loan broker doesn’t even require an office. Many of the graduates work from home with only a computer, an Internet connection and a telephone. It is very, very rare to ever meet clients in person. Almost all of the business is conducted via the telephone and the Internet. Because of the large number of financial products, and the nearly infinite number of businesses who need capital, the market for the graduates is enormous. The business is also not based on your geography. If you live in the middle of nowhere, you can broker deals originating in Manhattan. If you live in Florida, you can broker deals in California. In fact, Roglieri explained to me that the highest concentration of CCTG graduates is in the state of Texas. But, even those graduates, to the best of his knowledge, have never competed for the same customer, or the same loan. Again, this is not a get rich quick scheme. You can get rich, and hypothetically, you could do it quickly, but Commercial Capital Training Group is no scheme. They are accredited with the BBB, made the Inc. 500 list this year, and practice what they preach in their excellent, and all encompassing customer service. When the economy is up, demand for capital is up. When the economy is down, demand for capital is up. In either economic condition, businesses need money. When the economy is up, there are financial products that do well, and are easy to obtain. The challenge is to get the best deal. When the economy is down, the financial products that worked when the economy was up don’t work anymore. Instead, the economic conditions make available different products more available. The challenge is to get the right deal. In other words, the business is the always the same, only the financial products available are different. Sure, you could specialize in one financial product, but we know how well that worked for mortgage brokers when the real estate market crashed. Or, you could take Commercial Capital Training Group’s course and expand your opportunities by taking on a wide assortment of financial products and services that will allow you to evolve and ride out the markets, whether up or down. Commercial Capital Training Group’s business model is recession proof, and their training covers the business from the beginning to end. If you take their course, Kris Roglieri will personally transfer everything he knows about commercial capital brokering into you. And with their arrangement with the lenders, you’ll be able to make money almost immediately.